Internet Security Management (ISM) is a cloud based security management system. The ISM architecture supports the ISD device and can also support third party security devices. This allows the ISM platform to manage and analyse the complete customer network. The server is built on a security enhanced Linux Operating system, with redundant hardware and mechanisms of seamless failover. 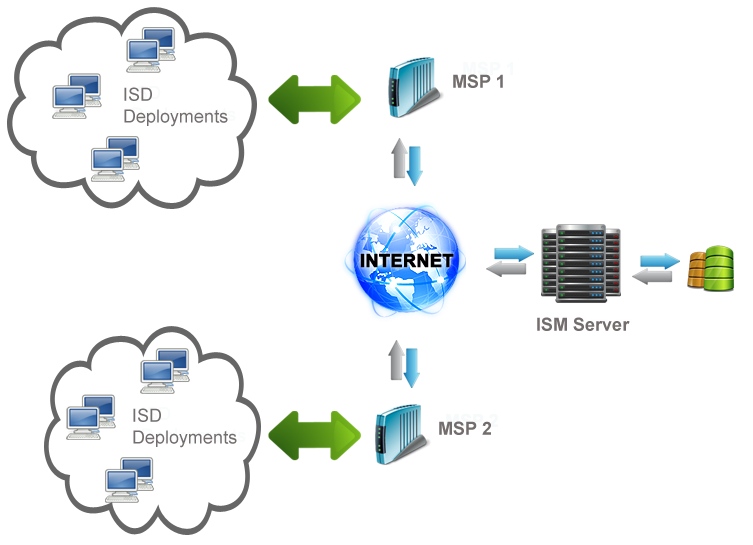 Full virtualization service at various levels of granularities. Rich set of tools to manage, monitor and analyse. and analyse the complete customer network. time detection, monitoring and reporting capabilities. The ISM platform gives cloud management capabilities. Virtualization at the service level for each customer. Configuration and update capabilities for each ISD. Advanced data correlation for each customer site and across the network. Forensic analysis of the event logs. 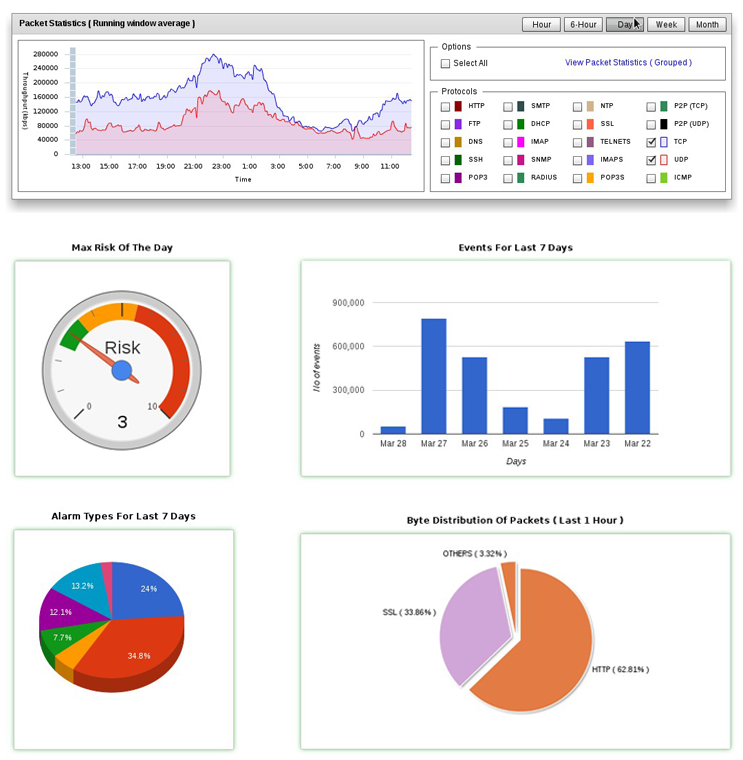 Real time monitoring of the threats and attacks. The server is built on a security enhanced Linux Operating system, with redundant hardware and mechanisms of seamless failover. The dashboard gives a holistic picture of security events and risk levels across multiple devices of the entire network. Powerful reporting using historical and real time events. Reports output format PDF, Word etc. Flexibility with plug-ins to export and import different objects. Customizable reports can be generated.